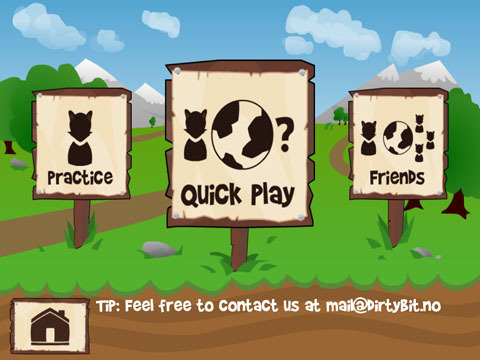 Get your running shoes, oxygen and protective gear ready for a fun, but dangerous race against fellow sprinters in DirtyBits app Fun Run! 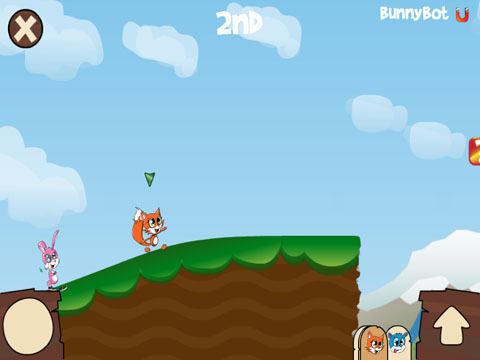 Avoid becoming one of your opponents next victims and outrun them to victory. 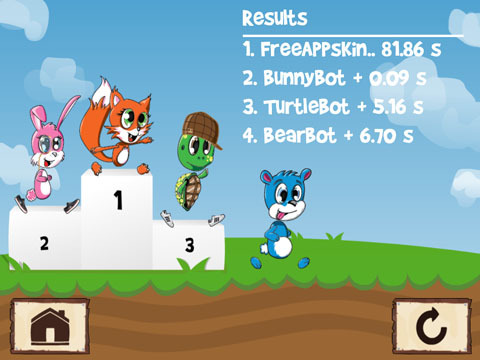 Race against opponents around the world! You'll have the chance to vote for the better of 2 maps to play before it starts. 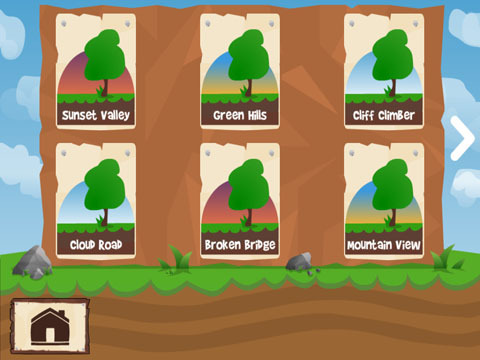 Play through nine exciting levels, each unique. First you'll need to create a username to play the game which enables competition against friends and other players around the world. A nice feature with creating a username account, this app will allow you to save your information so your profile is accessible on multiple user devices; example pickup and play on your iPad or iPhone. The controls are as simple as it gets, your character will move forward with it's own momentum, you just need to control when to jump. You can continue to jump higher and higher into the air by constantly pressing the up arrow button on your right, this will help you clear large walls. 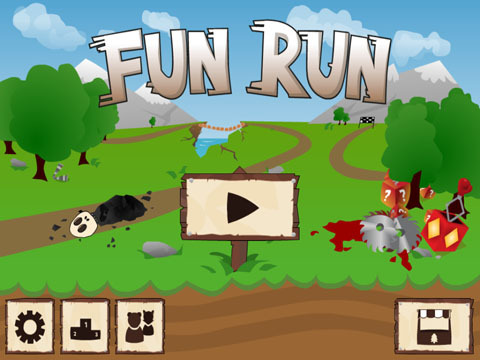 You'll start with and collect items throughout the race that will help you defeat your opponents. Think of it like Mario Kart, but only running! The items are collected in mystery boxes and given to you at random! You may get a buzz saw to cut your opponents in half, you make strike lightning down on them or you might get a speed boost. 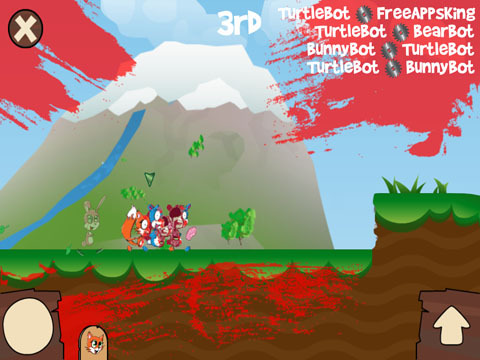 The game is graphic and blood splatters come often. 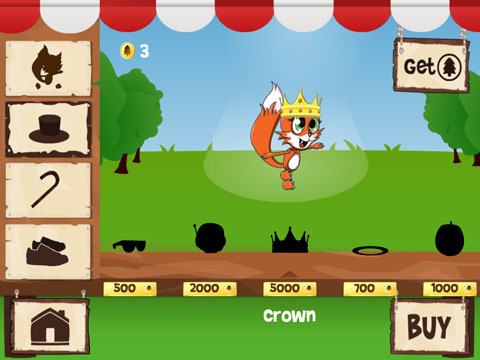 The in game store will allow you to buy items and customize your character with coins earned from gameplay. Launch Google Play! DirtyBit.no Coming Soon!